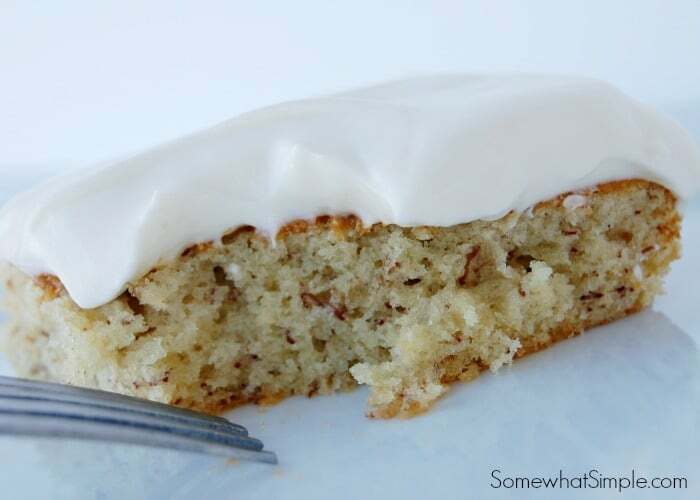 Topped with an amazing cream cheese frosting, these banana bars are the best you’ll ever have. 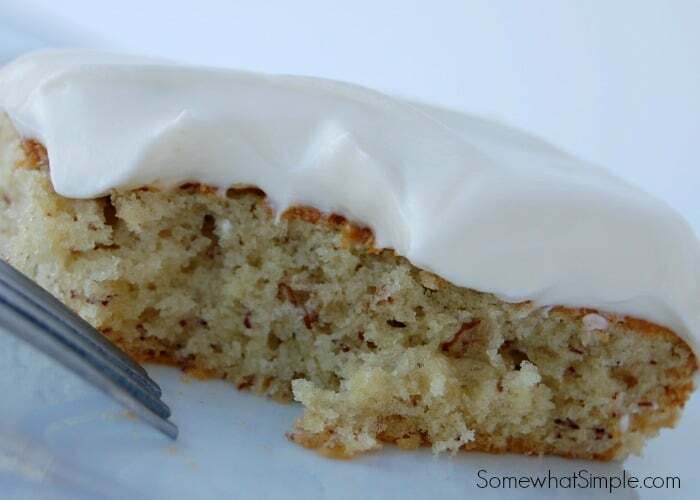 Made with fresh bananas and a few simple ingredients, this easy recipe is both fluffy and moist! I love serving these delicious banana bars when we’re entertaining. Whether it’s for an adult game night, an evening with the kids or a date night at home, these bars are perfect for any occasion. This banana bars recipe is from my grandmother. She would make these every time we visit her house and could smell them cooking even before we walked through the front door! They are my all time favorite dessert – tangy, sweet and super moist! Give them a try and let me know what you think! If you loved this delicious banana bar recipe, here are a few other easy recipes we think you’ll love! This easy recipe is made with fresh bananas and common ingredients that you probably already have in your pantry. Follow these simple steps and soon your house will be filled with the sweet aroma of this delicious treat. 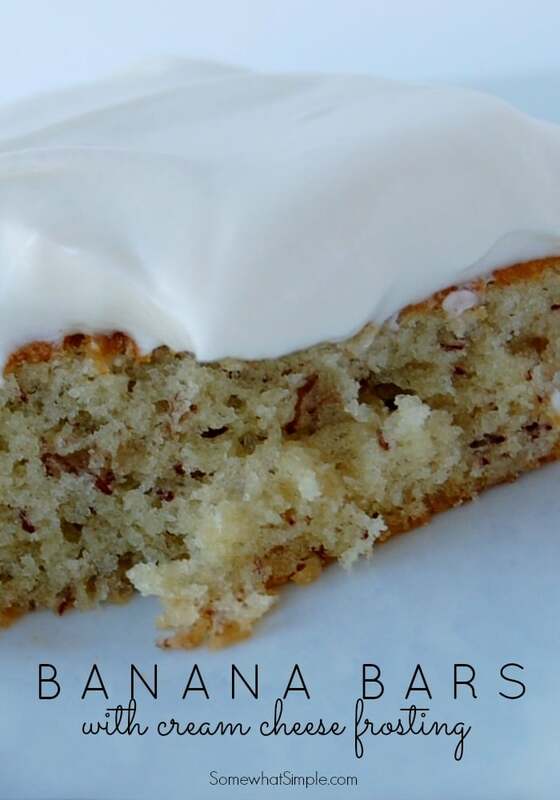 Topped with an amazing cream cheese frosting, these banana bars are the best you'll ever have. 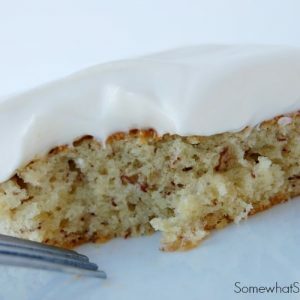 Made with fresh bananas and a few simple ingredients, this easy recipe is both fluffy and moist! Preheat oven to 350 degrees F (175 degrees C). Grease a 10 x 15 inch jellyroll pan. Beat in the eggs, one at a time, then stir in the sour cream and vanilla. Combine the flour, baking soda and salt; stir into the batter. Mix in the mashed banana. Spread evenly into the prepared pan. In a large bowl combine cream cheese, sugar, salt and vanilla. Beat until smooth, and then fold in whipped cream. Frost the cooled bars and serve immediately or store them in an air tight container in refrigerator. These banana bars were so yummy and really easy to make. I saved this recipe on my Pinterest board called Yum!!! 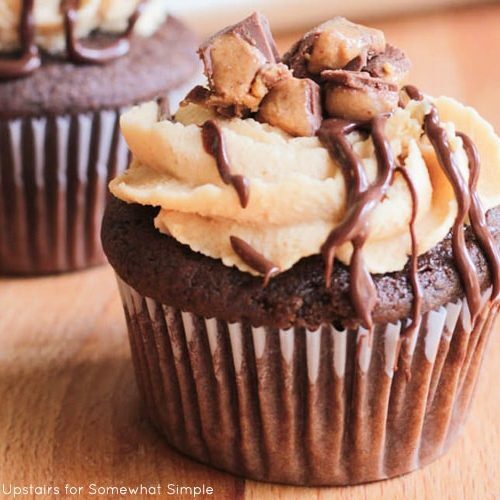 I think I might just make these tonight, thanks for sharing!